Everyone has a different taste bud and we want to satisfy everyone during this Christmas. 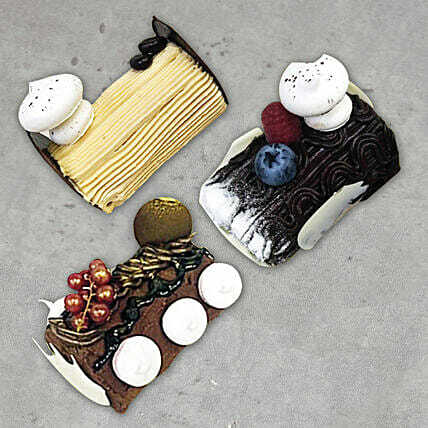 Here is an assortment of 5 different log cakes to make a true family pack. Dolce Vita, Berries Special, Vanilla, Chocolate, and Snickers log cakes are combined to make your Christmas celebration a memorable one.